The Kremlin confectioners make the "most delicious Moscow kuliches". RBTH presents a digest of Russia's most delicious culinary events from April 27 - May 3, 2016. 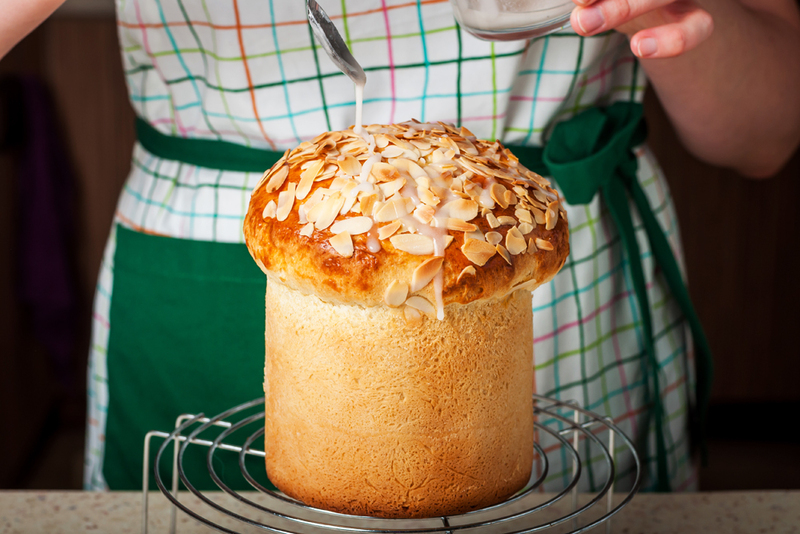 On April 28, the Kremlin confectioners held a workshop for journalists featuring the making of the traditional Russian Easter cake, the kulich. In total over the Easter baking period the chefs made 21,310 kuliches ranging in size from 50 grams to 1 kilogram. The cakes will be served in the cafeterias and cafes of the Presidential Executive Office, the House of Government and the State Duma. According to the chefs, the recipe used was created seven years ago through a process of trial and error that resulted in the “most delicious Moscow kuliches.” One secret — a few drops of cognac improves the flavor of the dough, and the baker’s mood. In the days before Easter, the kuliches are made by several groups made up of four workers apiece. Every group makes about 1,000 of kuliches per day, in batches of 150. It takes about 5 hours to make each batch. Although the dough remains the same, the decoration on top of the kuliches changes every year. The Kremlin food production facility also prepared 3,499 paskhas (a cheesecake-like creamy dessert) and 7,560 colored eggs. If you come to St. Petersburg, don't miss a chance to visit Russia’s first spice museum (Vasilyevskiy ostrov, Bolshoy pr., 6). Visitors have a chance to try exotic species from all over the world and see the various instruments used to prepare spices: threshers, pounders, and scales, as well as historic salt-cellars and castors. Guests are able to use the scales to practice weighing spices. They can also try the most valuable spice in the world — saffron, the only spice that hasn’t fallen in price since the Middle Ages. All the spices are available for purchase in the museum shop. The St. Petersburg museum is the third spice museum in the world following locations at Hamburg, Germany and Pattaya, Thailand. The southern Russian city of Sochi (1008 miles south of Moscow) hosted a “Plov Cult” charity drive on May 2. During the event, a number of local chefs made their version of plov - the traditional Central Asian dish of spiced rice, meat and fruit. Visitors made a donation, received two plates, and voted for their favorites. Prizes were given for “best restaurant” and “best chef” and “audience favorite” categories. The money went to the charity Life Line, which helps seriously ill children. This is the second year of the Plov Cult, which will hold similar charity events in 12 Russian cities in 2016.